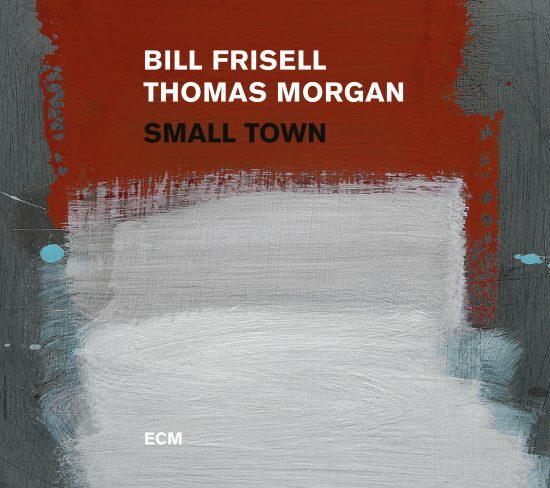 Win a copy of Bill Frisell/Thomas Morgan’s “Small Town” album! In a promotion sponsored by the Blue Note at Sea Cruise, we are giving away a copy of Small Town, the new album from guitarist Bill Frisell and bassist Thomas Morgan on ECM Records. Small Town presents Frisell and Morgan in a program of duets, the poetic chemistry of their playing captured live at New York’s hallowed Village Vanguard. Frisell made his debut as a leader for ECM in 1983 with the similarly intimate In Line, establishing one of the most distinctive sounds of any modern guitarist. His rich history with the label includes multiple recordings with Paul Motian, and Small Town begins with a tribute to Motian in the form of a searching, 11-minute interpretation of the late drummer’s composition “It Should’ve Happened a Long Time Ago,” the duo’s counterpoint yielding a hushed power. Morgan, who also played with Motian, has appeared on ECM as bassist of choice for Tomasz Stanko, Jakob Bro, David Virelles, Giovanni Guidi and Masabumi Kikuchi. Learn more about the Blue Note at Sea cruise.